The Easter processions through the streets of Sorrento honour a tradition that goes back a long way. This fantastic spectacle sees hooded figures walking through the streets in white or black robes in one of the oldest processions in Italy. Every year, Marina Grande celebrates Saint Anne who was the patron saint of this village. The streets are lines with decorations and boats fill the bay to watch the colourful fireworks. Ferragosoto is a fun affair in Sorrento, with plenty of festivals and activities taking place around this day. On the 15th itself, there’s a traditional procession followed by fireworks. 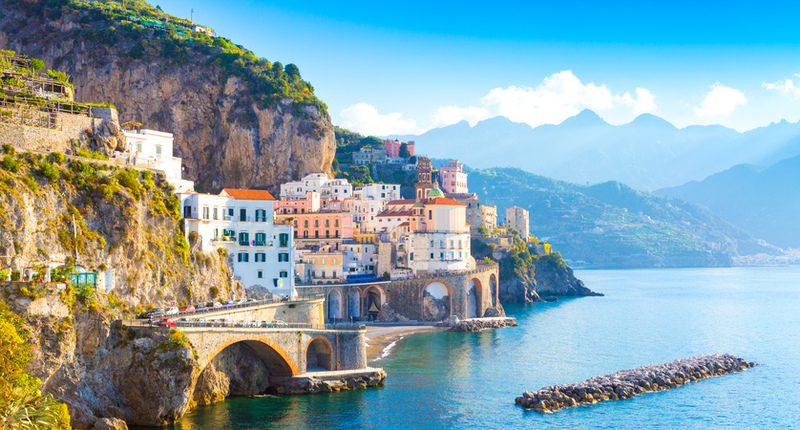 Relax and enjoy the splendour of Sorrento and the Amalfi Coast on this small group escorted tour that showcases one of the world's most beautiful coastlines. 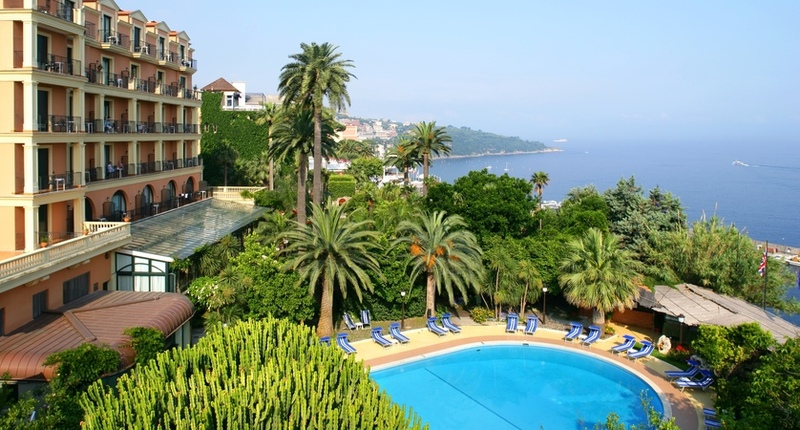 This elegant, centrally located hotel offers a peaceful stay in the heart of Sorrento. With spacious guest rooms and a lovely garden providing a relaxing space, this hotel remains a favourite of visitors to the seaside town. An elegant property just a ten-minute walk from Sorrento’s centre in a peaceful clifftop position surrounded by a beautiful park. 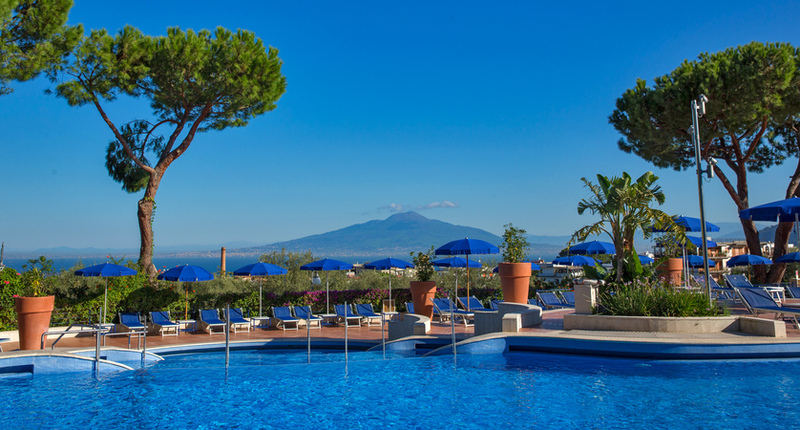 A prestigious hotel nestled into the cliffs above Sorrento with a stunning series of interconnecting pools and panoramic views over the Gulf of Naples. An elegant property close to the centre of Sorrento with a fantastic roof garden where you’ll find a pool and cocktail bar with fantastic views over the Bay of Naples. 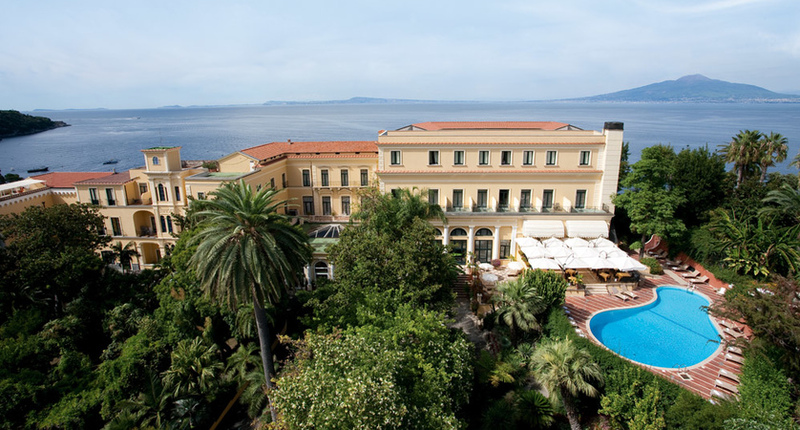 This popular five-star hotel sits on a quiet corner in central Sorrento, just a five-minute walk from Piazzo Tasso. It offers contemporary guest rooms, a sophisticated bar and restaurant, plus a rooftop pool with views of the bay. A superb five star hotel located in central Sorrento with lovely sea view terraces, attentive service and excellent cuisine. 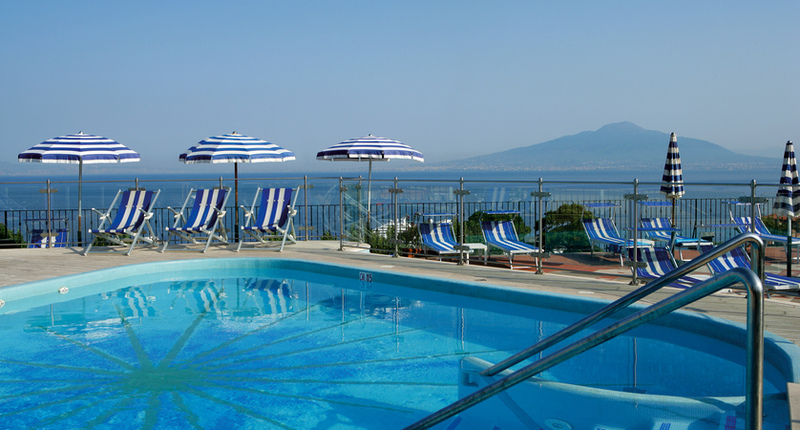 This family friendly hotel offers plenty of facilities and is just a ten-minute walk from the centre of Sorrento. This historic hotel enjoys a stunning clifftop position in Sant'Angello. 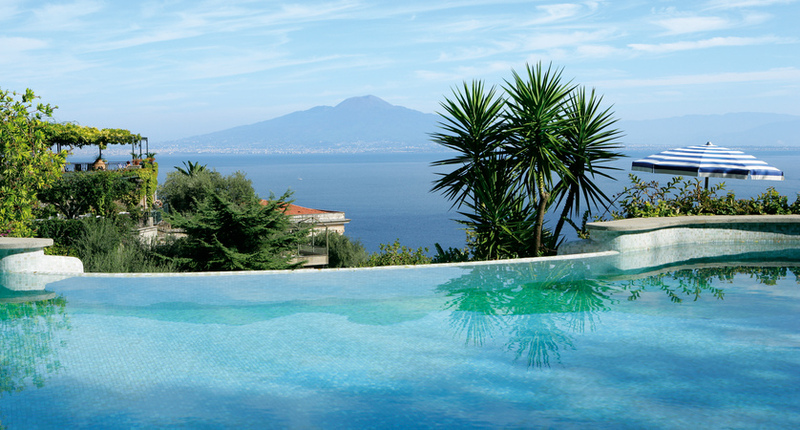 Enjoy panoramic views over the Gulf of Naples from the heated infinity pool, rooftop solarium or the restaurant terrace. A comfortable hotel in the centre of Sorrento just a short walk from Piazza Tasso and around 15 minutes from the Mediterranean Sea. 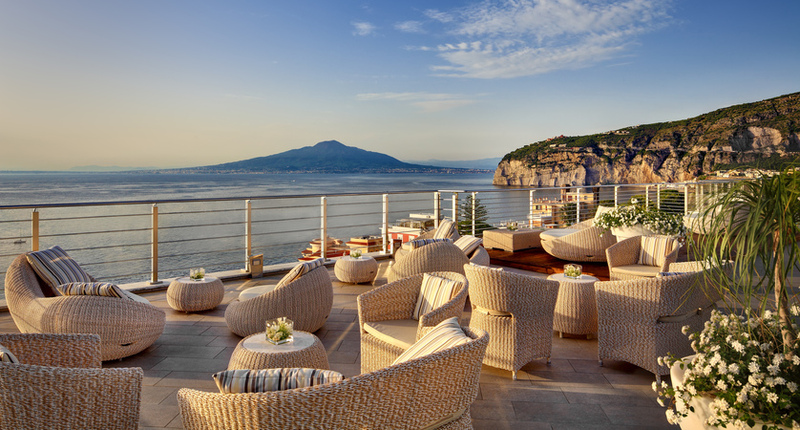 A contemporary hotel perched on the cliff with panoramic views of the Bay of Naples. 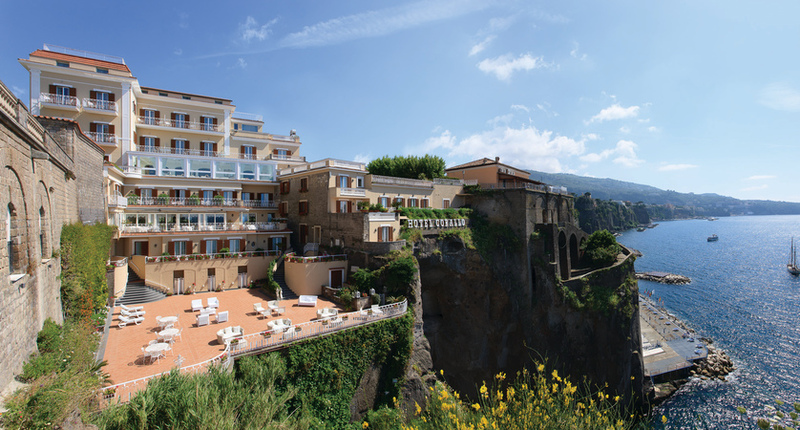 The Imperial Hotel Tramontano can be found only a short walk away from the main square in Sorrento and on the edge of the cliff with uninterrupted sea views, making it one of the best located hotels in the town. 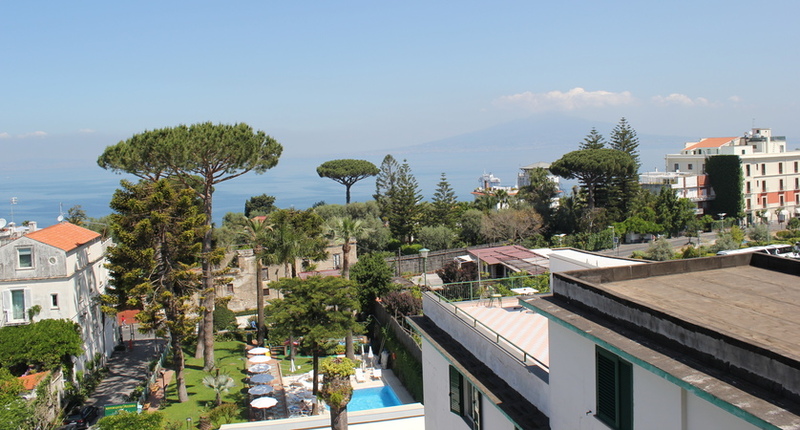 A welcoming, boutique hotel in the centre of Sorrento with a fantastic terrace offering views over the Bay of Naples. 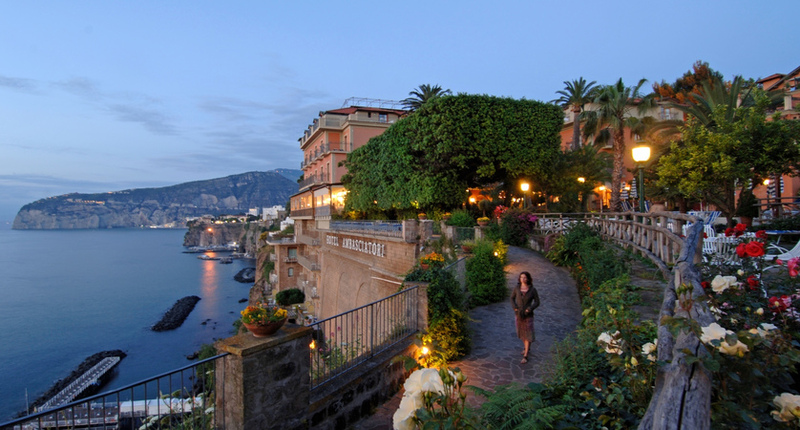 Sorrento is an ideal resort to pair with another of Italy's famous destinations. Rome is easily reached by high-speed rail from Naples, or you could head down the coast and combine a few days in Sorrento with a stay on the Amalfi Coast. Capri and Ischia also make good options, and are just a short ferry ride away. Call us for more ideas or to book your perfect multi-centre itinerary.